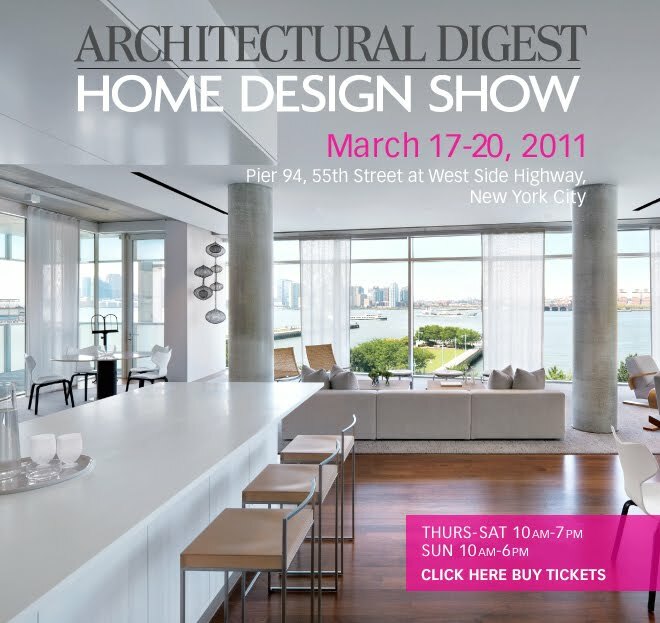 The Architectural Digest Show is my harbinger of spring. I've served as a panel speaker for the past few years. I'm enjoying the show this year in a different capacity. I'm thrilled to be meeting up with clients to show them some highlights and blogging from the floor of the show. for that single object to finish a room, the Show promises to introduce you to something you simply have to bring home, no matter what your budget. Are you attending the show? You can click here to purchase tickets. Have a great time Susan - can't wait to see what you find!